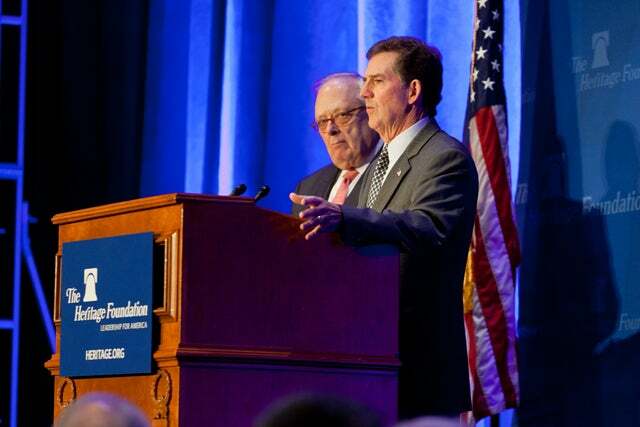 Senator Jim DeMint (R-SC) will leave the U.S. Senate next year to become president of The Heritage Foundation, succeeding Edwin J. Feulner, the man who first envisioned the think tank in 1973 and has led it as president for the past 36 years. Heritage’s Board of Trustees unanimously chose DeMint as the organization’s next leader, starting April 3. DeMint will resign from the Senate and start as president-elect in early January, so he and Feulner can ensure a smooth transition. After April, Feulner will continue serving as Chancellor of the Foundation and Chairman of our Asian Studies Center. Jim DeMint has shown that principled conservatism remains a winning political philosophy. 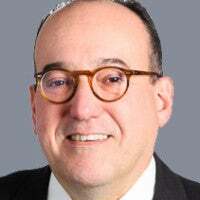 His passion for rigorous research, his dedication to the principles of our nation’s founding, and his ability to translate policy ideas into action make him an ideal choice to lead Heritage to even greater success. Feulner, who announced three years ago that he would retire in April 2013, may be the hardest act to follow in Washington, D.C. Under his leadership, Heritage helped launch missile defense under President Ronald Reagan and welfare reform under President Bill Clinton and Speaker Newt Gingrich. During the past four years, Heritage has led a principled fight against Obamacare and has taken a lead in advancing the case for entitlement reform. Feulner’s name figures among those of Friedman, Buckley, and Bartley in the annals of conservatism. Bill Buckley launched the conservative movement as a modern force in Sharon, CT, in 1960; Milton Friedman and Bob Bartley gave it its economic underpinnings; and Dr. Feulner organized it under his maxim of “adding and multiplying” conservative forces. He built Heritage into a permanent Washington institution, the leading think tank in America. After long consideration, Heritage’s board decided that the man in Washington to take the reins from Feulner was DeMint. He stood out as the right man at the right time for Heritage and the country. Throughout his time in Congress, DeMint has consistently stood for policies that make our country prosperous, strong, and free, even when speaking up for these principles was not the easy path. Along the way, he created a movement of principled conservatives that consistently make the right decisions. The so-called DeMint caucus includes such names as Marco Rubio, Pat Toomey, Rand Paul, Mike Lee, and now Ted Cruz—a group that could be called the 1927 Yankees of conservatism. Now DeMint will lead this effort from an intellectual powerhouse—Ronald Reagan’s favorite think tank. What this means is that the intellectual rigor and innovative ideas of our scholars and researchers, as well as our strong membership base, will now be united with the most effective, principled political leader on Capitol Hill. As everyone knows, this is a crucial time for conservatism, and Heritage must seize the moment. Despite what you may hear, conservative philosophy hasn’t failed, but we need to help all Americans connect the dots so they can see why bad progressive policies ruin their lives. Conservatism comes into the battle of ideas with some rhetorical drawbacks: By definition, it does not chase after fads, divide the country by pandering, or promise easy fixes. But it comes with some decidedly powerful advantages. Conservatism speaks about transcendent and self-evident truths—it tells us what our conscience already knows. Conservatism also stands for virtues that have stood the test of time. Lastly, conservatism prescribes policies that, if adhered to, will bear the fruits of freedom, opportunity, prosperity, and civil society. With the decision we announce today, the Board of Trustees has affirmed the importance of our principles—built on our founding documents, the Declaration of Independence and the Constitution.